Why and when did you become a dealer? and philosophy before we became aware of vintage lithographic posters. 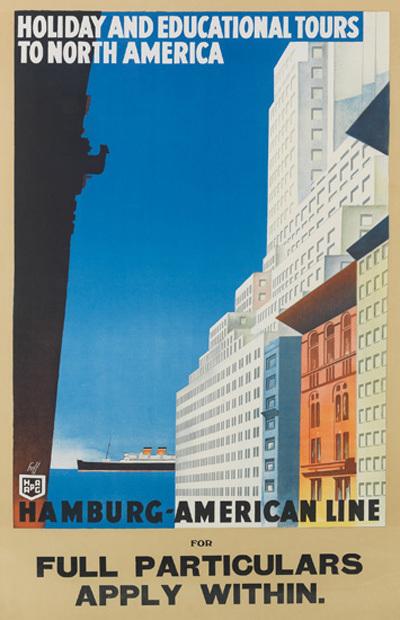 Our initial exposure to posters in an antique shop in Soho during the Statue of Liberty re-dedication in 1986 made us realize that the styles we had grown to love were alive and well in vintage poster art. We quickly fell in love with the implications of the free-wheeling mavericks of Montmartre. Here was something we not only could embrace but also afford, and see ourselves seriously working with. Do you have a particular focus? on great design rather than big names. 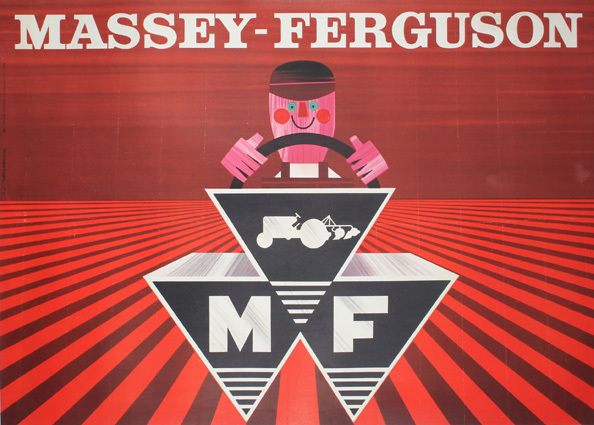 Our collection has always been heavy on the more obscure, dazzling poster images and light on the more common ones. In addition, we realized that small format designs, like artistic magazine covers and illustrations, fans and pochoirs could work for us. What has been your “best buy” or most interesting find so far? 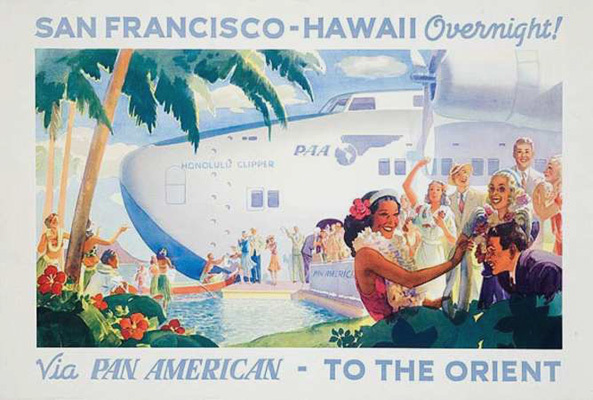 One day a man came our way with the very rare Pan-Am Clipper (San Francisco-Hawaii) poster by Bay Area resident artist, Frank McIntosh. Our surprise visitor was in fact an engineer with an expertise in ship repair who had this poster gem (in an old handmade wood frame) hanging for many years in his houseboat at Toronto Harbor. Luckily for us, he was ready to part with it and, despite its questionable condition, we were able to rescue it with expert restoration. 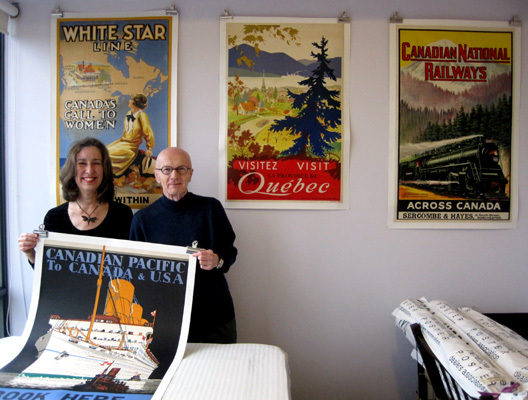 The poster soon found a better life with an ecstatic Florida collector who discovered it on our website within 48 hours. A great landing for this Clipper! What advice would you give to a new poster collector? On meeting a client new to poster art, we suggest subjects close to the buyer’s enthusiasms to allow the client to discover work by his or her own motivation. Another gambit would be to have customers peruse our site and become familiar and perhaps enamoured with a particular style such as art deco, art nouveau or modernism. Finally, poster collecting can be determined by an interest in a specific graphic artist. Of course, we encourage our clients to add to their knowledge by visiting IVPDA galleries and resource materials. Something rather unusual about our gallery is its being a studio area in our home that includes a cat, two canaries, an aquarium…and a mini-forest. As a result, visitors see somewhat more of the life of living with vintage poster art than they would in a strictly conventional venue. 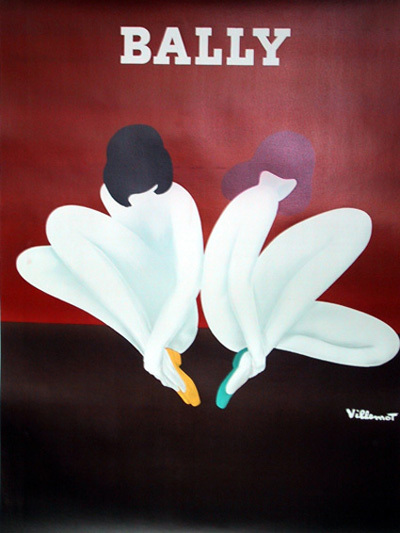 By welcoming many visitors (by appointment only) from near and far, we share our enthusiasm and we hope an experience they will always recall when they live with their posters purchased from “I Desire.” Our poster collectors’ feedback delights us: http://www.idesirevintageposters.com/testimonials.html . 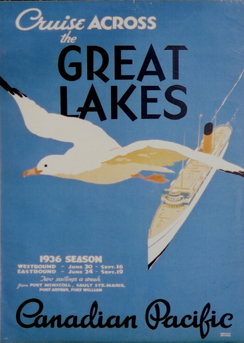 This entry was posted in Art Deco Posters&Graphics, Current Events, Poster&Graphic Art, Poster&Graphic Artists and tagged albert fuss, Bernard Villemot, Canadian National Railways, Canadian Pacific Steamship Posters, Canadian travel, celebrating our poster history, Frank McIntosh, J.C. Rousseau, Norman Fraser. Bookmark the permalink.